June FLEW by! I kind of knew it would. My work schedule changed to half days, my tutoring classes were ending one by one and, after teetering between staying part of the summer to work at a camp or going home to search for a job in PR, I finally bought my ticket home. It’s hard to believe it’s over and while I know I’ve been here awhile and have felt that way at times, it seems like I just got here. The elementary-age Marisa would’ve told you that she was going to travel the world (and got to college UNC-Chapel Hill). The college-age Marisa was telling people that she was going overseas for a year after graduation (even though she didn’t have a way to do so until the end of her senior year). Turns out I was right. Even though I was pulled in two directions—staring a job and in NYC vs. working abroad—I am happy with my choice. I have gotten to go to places I’ve always dreamed of visiting, made some amazing friends, learn more of a foreign language and grow up a little. Personal reflection aside, June has been a good month. I didn’t do any more traveling except for a half day trip to EL Palacio del Pardo. 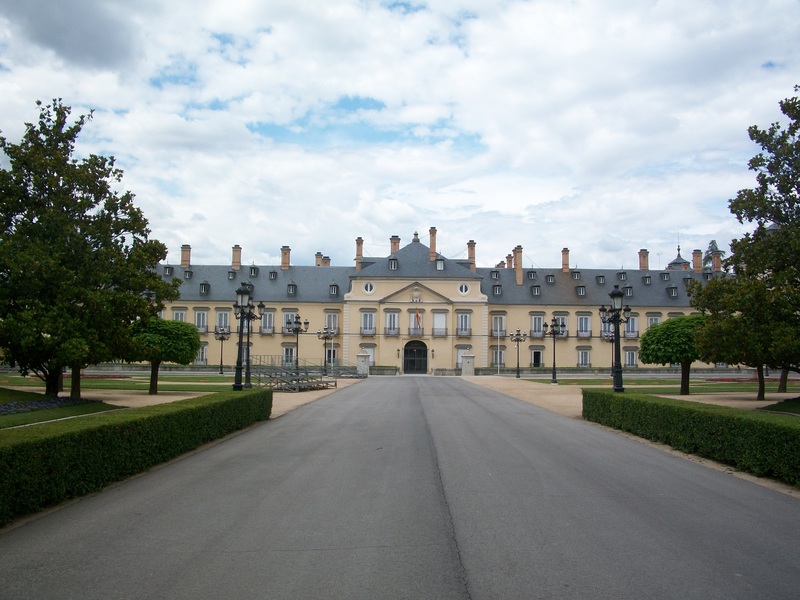 El Pardo is just outside of Madrid and is still a fully functioning palace. Franco made it his personal residence while he ruled out of fear of possible assassination if he lived in the Royal Palace in Madrid. Now kings, queens and presidents stay there when they visit. The tour guide told us that recent U.S. presidents have had to rent out entire hotels in the city rather than stay at El Pardo because they travel with between 500 and 800 people! Somehow that didn’t surprise me very much. We couldn’t take pictures inside, but my favorite part was the 6-foot tall French chandeliers that hung in almost every room of the palace. El Pardo, there must be a fire place in almost every room! Other than that and job searching, my last month in Madrid was filled with hanging out, drinks and tapas, despiertas (goodbye parties) and a little rebajas (sales!) shopping. Now that summer is starting, there are tons of fairs around the city and people are making regular weekend trips to all the beautiful beaches around Spain. It might be kind of nice to be here for the summer, but I am excited to go home and to have air conditioning! Farewell, Madrid! I had the chance to go on a field trip with the fourth grade classes awhile back. The trip was to the Sorolla museum, a Spanish painter I had never heard of but is very famous here. The museum was actually the painter’s old mansion that had been converted into a gallery of his work after he died, and was only a 10 minute walk from my apartment. Turns out, Sorolla maybe be one of my favorite artists, right up there with Monet! 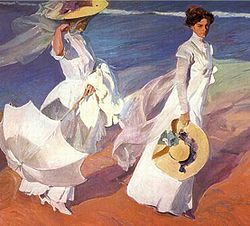 "Paseo por la Playa" by Sorolla. Probably his most famous painting. 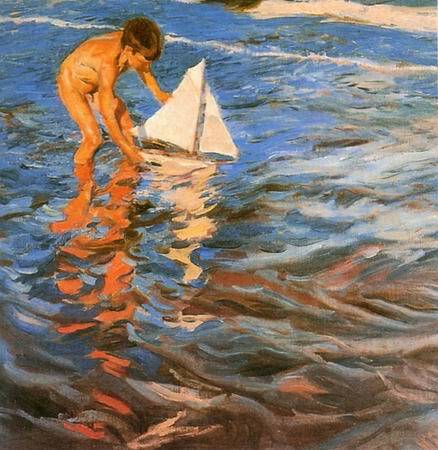 "La barca" by Sorolla. He was known for his beach scenes, which he copied from his own photographs of his family. What I liked best was the way Sorolla captured light in his paintings and that despite only using a few colors in each one, they were still brilliant. (I also liked that I understood 97% of the tour, which was all in Spanish!) I thought I’d give this museum a plug because it is less known than the enormous Prado and Reina Sofia museums but worth the visit. Cheap, short and sweet. I am still learning Spanish, but sometimes I think I’m not the only one around here that needs to be practicing! My slightly southern North Carolinian, very American accent surely doesn’t help me sound like a Spaniard BUT my name is actually of Spanish origin. It’s even spelled the same (sin the accent over the “i”). However, the woman at Starbucks last weekend managed to completely butcher it. This is what my name turned into. Lost in translation? 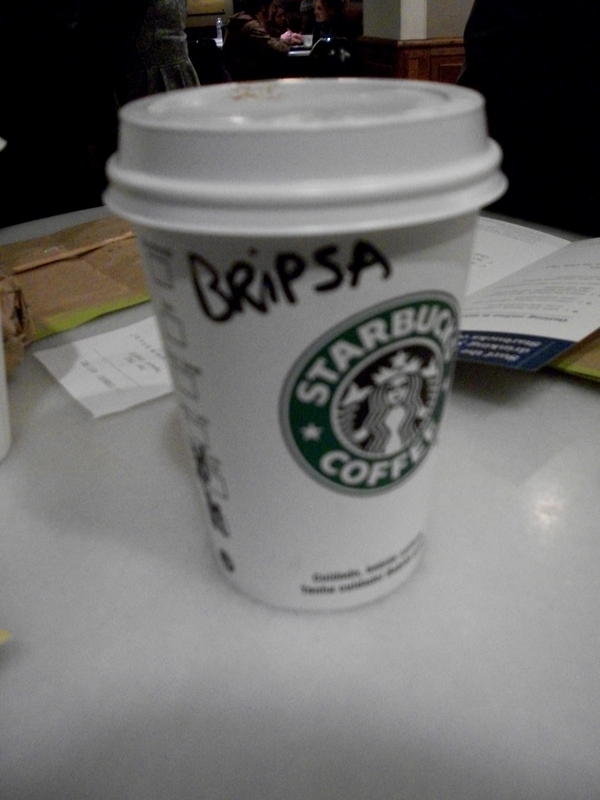 Bripsa. That’s what the woman behind the counter heard when I said Marisa. I even said my name with Spanish pronunciation! I may not know a ton of Spanish but I definitely know my name, so this time I don’t think it was me. I didn’t even go up to get my coffee at first that’s how different it sounded! My friends experienced minor additions and subtractions to their names, too. Gabrielle was “Gabriel” and Stephanie was “Estephanie”, haha. This weekend was nearly epic thanks to my friend Kathryn coming to visit! She is in the same program as me but lives in Malaga on the southern coast of Spain (jealous!). We kicked off the weekend by dancing at a discotec until they turned the lights on at 5:30 a.m. (I so love discotecs!!) The next day we met up with another friend from UNC who was visiting from Sweden and staying with two other girls in my program who are also from UNC. It was our very own alumni weekend in Spain! 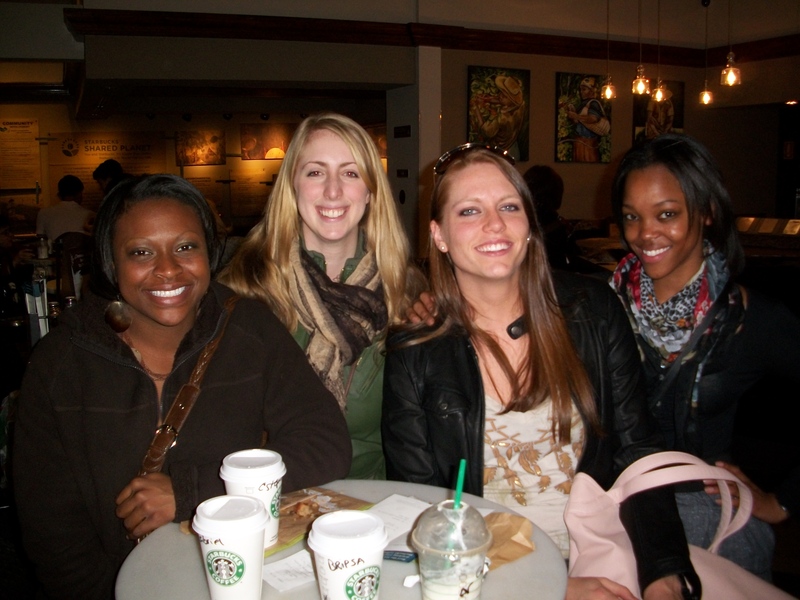 Gabrielle, Kathryn, Ingrid and Stephanie at Starbucks, so very American! GO HEELS! Even though working up until the 23rd of December doesn’t put me in the holiday spirit in the same way as starting Christmas break as soon as my last exam is over does (thanks a lot real world! or semi real world in my case), I have managed to fit in some festive things in the spirit of Christmas. 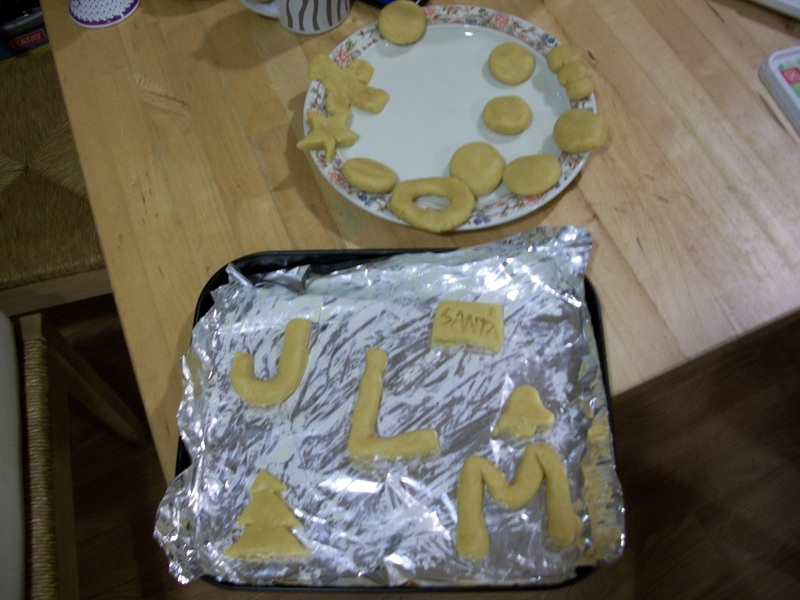 Last weekend some friends and I spent an afternoon “baking” in a toaster oven. (Full-size ovens…and dryers…are rare over here.) 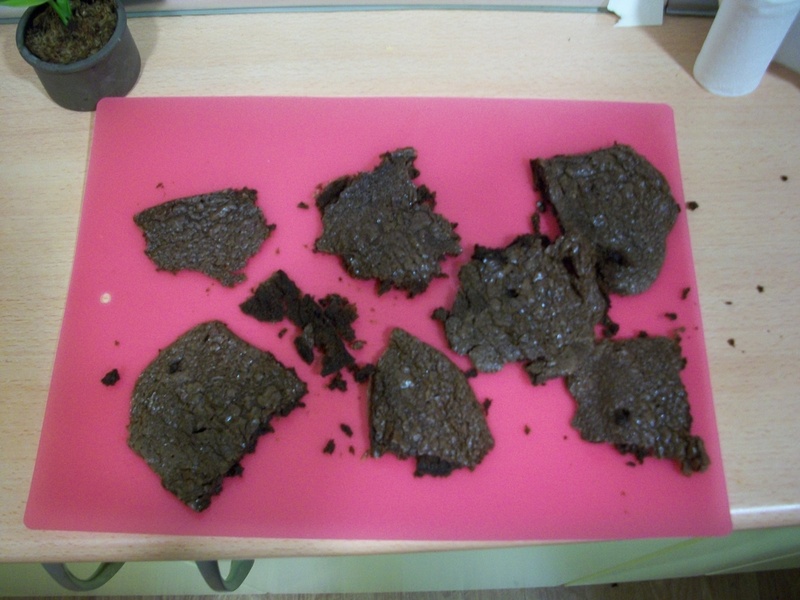 Among our desserts were: sugar cookies, without baking soda or powder (also rare here) and with whatever else we decided to add after our mixture didn’t really look like cookie dough, and “brownie cookies”, aka brownies made on a cookie sheet because we didn’t have a baking pan. In the midst of cooking and Christmas parties I also went to see some of the decorations around the city. 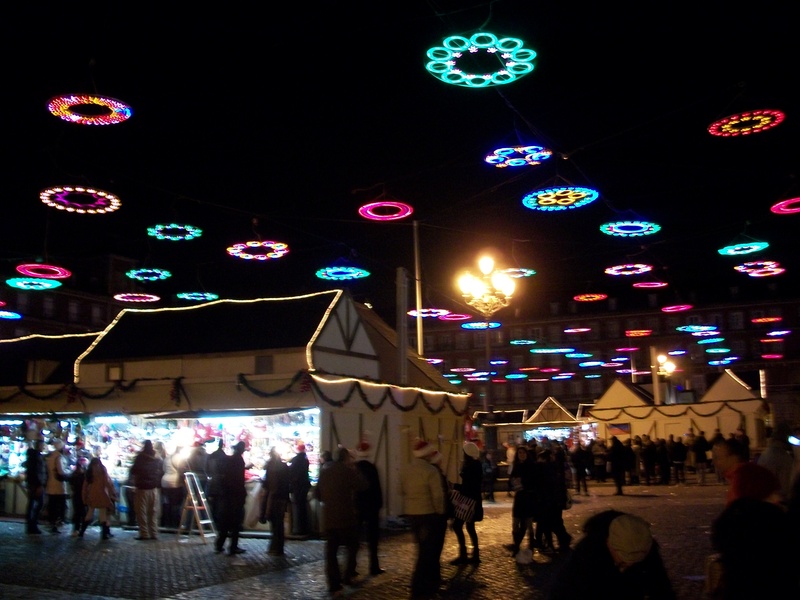 Most of the main streets have lights in all kinds of Christmas shapes (ornaments, presents, snowflakes, ect.) hanging over them and all of the plazas are decorated. It was so pretty! Jeta and I post Christmas pastry stop. 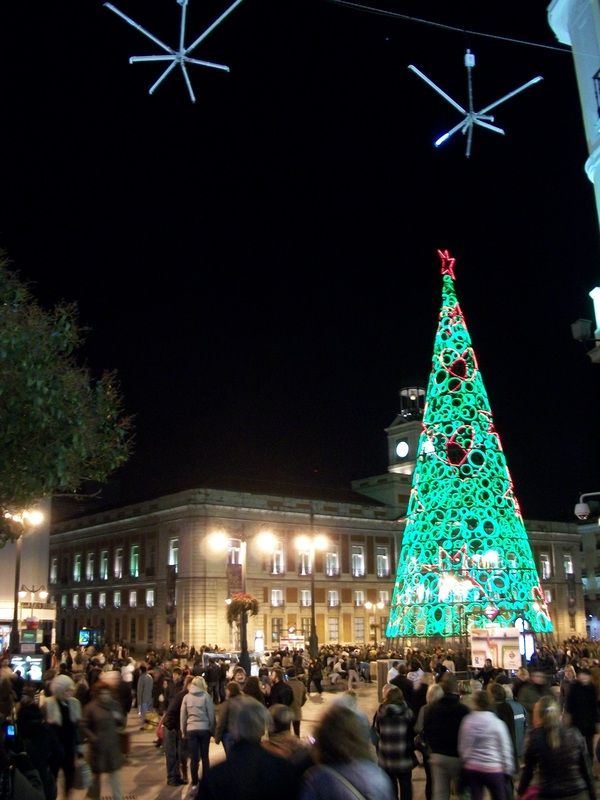 Lights AND a Christmas village (aka market) in Plaza Mayor! This past weekend was apparently THE weekend for Christmas parties. Most people I know had their work parties last week or weekend and all of my friends had their parties Friday and Saturday. Most Spaniards spend the holidays in their home towns with family, so I guess that made last weekend prime party time. Between stuffing myself at various dinners, the constant drinking of beer and wine, and party hoping I managed to make myself sick to my stomach by Sunday night…but it was worth it! Needless to say, I like the way people here celebrate. They really go all out! Speaking of which, secret santa is a big deal. All the teachers and assistants at my school drew names last Tuesday and so far pre-gifts and clues have been left every single day. (Of course, myself and the other assistants have not been leaving as many since we didn’t know how seriously Spaniards take this tradition, lol!) My school is also hosting two Christmas meals for staff members and an entire week of “class” dedicated to crafts, learning a song, watching a moving and practicing for their Christmas pageant for this Thursday. I love my job. 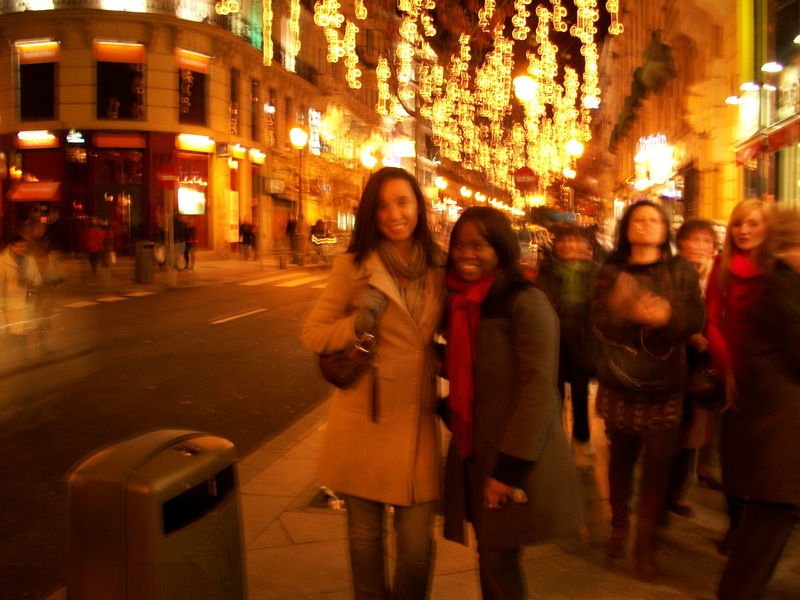 Thanksgiving in Madrid was a huge success! I think we all missed our friends and family, home and some of the things Spain just doesn’t have, but we all enjoyed each other’s company. 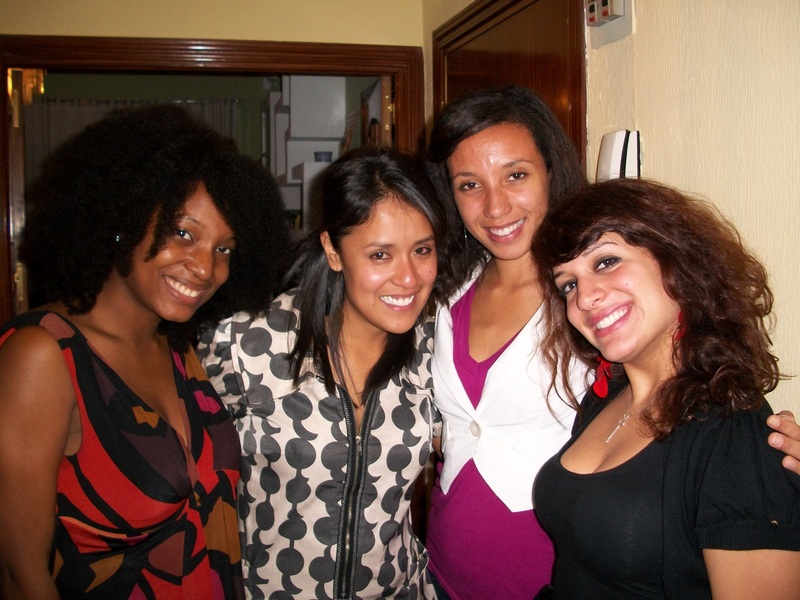 My Thanksgiving started Thursday with an unofficial dinner at my friend Laura’s apartment with her Spanish roommates. We had breakfast for dinner because we thought that concept and breakfast food were the most different from a typical Spanish meal. Her roommates were so excited! One of them made pumpkin cake in honor of Thanksgiving and another girl printed each of us a copy of the national anthem and had us all sing it in honor of America and us Americans. (By the way, we completely butchered it! Not one of us could sing in tune even with the video pulled up on YouTube, ha.) The menu was French toast, scrambled eggs, bacon and mimosas, in case you were wondering. Friday was our traditional-as-possible American Thanksgiving dinner. A big group of Auxiliares, plus a few English, French, Australian and Spanish friends, got together at my friend Siury’s apartment and we each brought out favorite Thanksgiving dish (needless to say, there were plenty of desserts…and lots of alcohol!). It turned out amazing! Spending Thanksgiving with friends. (From Left) Our hostess Siury, Juany, me and Katy. I made a broccoli and corn casserole and sweet cooked carrots (I was going for a Cracker Barrel veggie plate meal), Laura made stuffing (ALWAYS my favorite Thanksgiving food), Jeta made sweet potatoes, Jaylene and Kyla made amazing apple pies (from scratch! ), and people who actually eat meat brought a small turkey (or maybe a chicken?) and KFC (keeping it classy). There was enough food for everyone to have seconds. I think our foreign friends were very impressed. Nacho at his first American Thanksgiving. This picture sums up the general feeling after Thanksgiving dinner, haha. 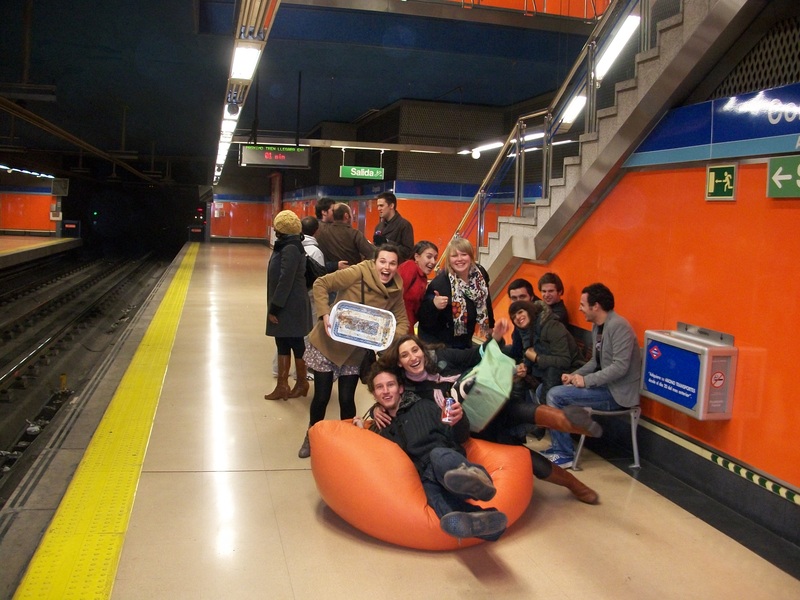 Catching the metro before it closes for the night with our clean plates and a bean bag chair?